With over 800 student organizations at UW-Madison, finding one (or more) that fits your interests may be extremely overwhelming. Thankfully, at the beginning of each semester, clubs come together at the Kohl Center to bring you the Student Organization Fair. 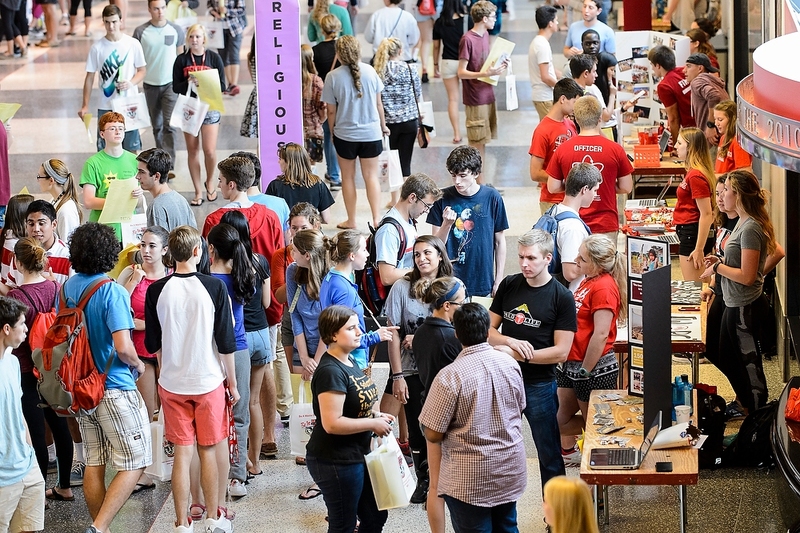 Thousands of students gathered at the 2015 Student Organization fair to find organizations that fit their interests! However, with the enormous amount of organizations, attending the Student Organization Fair can seem intimidating, especially for a new freshman. The 2016 Fair will be held September 14th and 15th. Follow this guide to successfully attend and find the right Student Organization for you! Wear comfortable shoes: with the Kohl Center being a 460,000 square foot multipurpose facility, you’ll definitely be doing lots of walking. Comfortable shoes are imperative for being on your A-game and having a contagious positive energy. Break away from your friends: the friends you have from your floor or class will still be your friends! Try and join something that matches your interests, not just what your friends want. Take it all in: talk to and learn about as many organizations as you want, as many members as you want, and don’t forget to leave your contact information too! Pro tip: you don’t have to join every organization you talk to! Be open to all that this big university has to offer: come with an open mind, leave with lots of opportunity! Don’t find something you like? Follow the directions at https://cfli.wisc.edu/win_interests.htm to use WIN Interest Matching, which allows you to find Organizations on campus that fit your interests. Pingback: 3 Tips for Finding the Right Student Orgs for You!